French actress Marion Cotillard looked drop dead gorgeous in her multicoloured Christian Dior dress as she walked the red carpet with her co-stars at the premiere of her film Blood Ties. The Rust And Bone stunner paired her magnificent dress with Chopard jewels and Dior pumps. Here's a look at other celebrity arrivals at Cannes. Cotillard's Blood Ties co-star Zoe Saldana was spotted in a grey Valentino number with brocade detailing. The dress was a tad overwhelming on the American actress's petite frame. Actress Rosario Dawson posed on the red carpet in an exquisite Elie Saab beaded gown with a front slit as she arrived for the screening of the film As I Lay Dying. Alec Baldwin carries his pregnant wife Hilaria Thomas during the Seduced And Abandoned photocall at the film festival. Stars of Steven Soderbergh's Candelabra, Michael Douglas and Matt Damon share a light moment during the film's photocall. 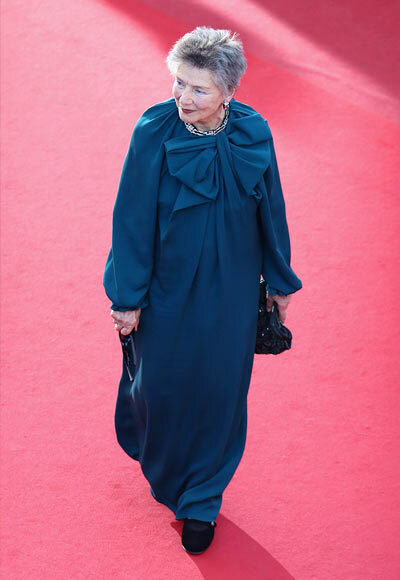 Amour actress Emmanuelle Riva makes a stylish entrance on the red carpet for the Blood Ties screening. American actress Phoebe Price attracts attention on the red carpet for all the wrong reasons.